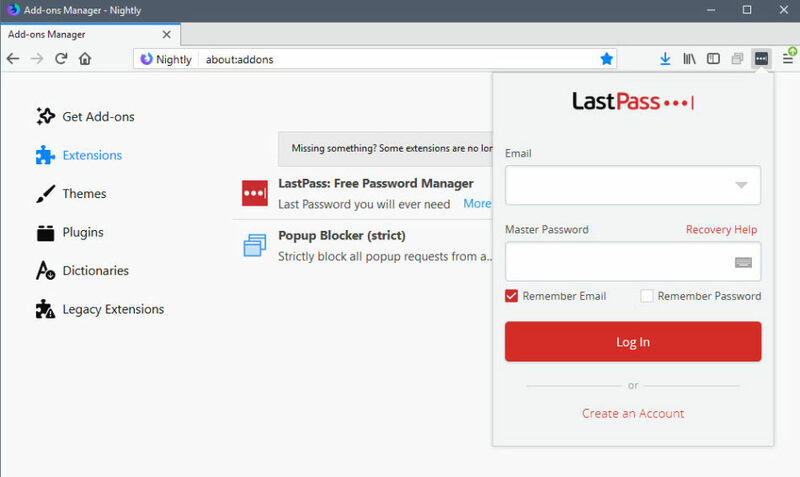 LastPass, creators of the password management service of the same name, have released a beta version of LastPass for Firefox that is compatible with Firefox 57 and newer versions of the web browse. Mozilla plans to end support for legacy add-ons with the release of Firefox 57 on November 14th, 2017. 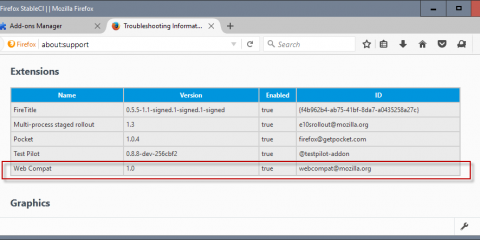 While users may switch to Firefox ESR or use the Nightly version to extend support for legacy add-ons, it is likely that most Firefox users won’t go down that route. Companies and developers need to release WebExtensions versions of their add-ons to ensure compatibility with Firefox 57, and to make sure that users keep on using the add-ons. LastPass is a popular extension for Firefox. It has over 646,000 thousand active users at the time of writing. The company released a beta version of the upcoming WebExtensions version of LastPass earlier today. Firefox users can only download it from the official company website right now, as it is not available on Mozilla AMO at the time of writing (an alpha version, 4.2.0a is available however). Those who download and install the beta version of LastPass will be transitioned to the release channel version automatically once it is released. This is done so that users are not stuck on development channels. Firefox users who run LastPass 4.1.54 or earlier will have their local preferences reset during the update. This means that it is necessary to reconfigure LastPass after installation. You can check the version by clicking on the LastPass icon, and select More options > About LastPass from the menu. The binary installer of LastPass cannot communicate with the WebExtension yet. Any feature requiring the binary component won’t work. The binary component controls features such as attachments to secure notes, importing and exporting of data, additional encryption at the OS level, importing from Chrome, Opera and Safari password managers, autologoff functionality, login state sharing, copy password or username from vault, copy password from Password Generator, and fingerprint authentication. LastPass plans to release the WebExtension version next month to make sure that Firefox users that use a release version of the browser can keep on using the add-on and service associated with it. The beta release is mostly for beta and nightly users of Firefox. The post LastPass Beta for Firefox 57+ released appeared first on gHacks Technology News. Food labelling: a case of natural selection?